She asked once on the third day. The children ran off to play; the birthday festivities were mostly done. 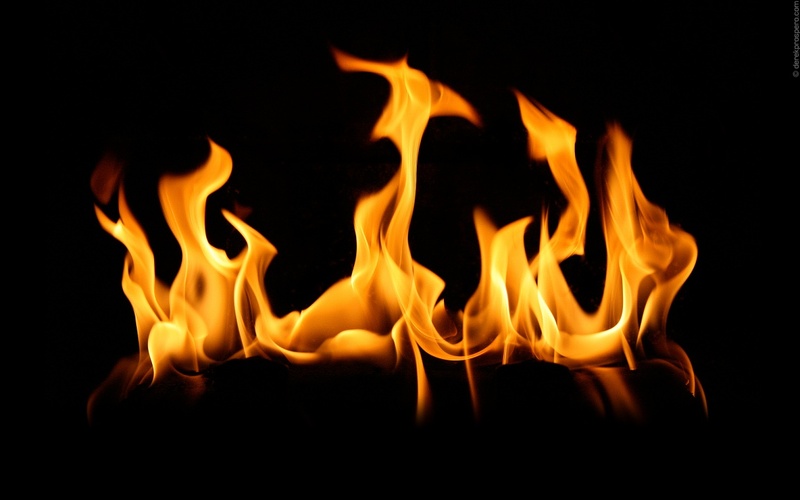 With less to distract her mind, she struggled to forget the fire in her arms and legs and belly as her body demanded the drug that would ease its suffering. So she asked. She went outside, of course, and found shade beneath the peonies after and let the shaded earth cool her flushed cheek. Obediently, Cwenldywn went inside the tall house–Hobbit in style, Man in size–and found her study full of bits and bobs added by Callee throughout the years that the lass had been Gardeneve’s caretaker. A collection of smooth beach stones sat in a jar on the windowsill and Cwendlwyn could not help but remember Dol Amroth and the smell of the sea and Oendir’s gnarled foot in her lap as the children played in the surf. The boundaries between patient and healer, commander and soldier blurred in those moments between them when even before they looked upon each other as lovers, they saw each other as kindred spirits fighting for some smudge of happiness after all the twists that life threw at them. It took many attempts for her to start writing. Several blotches of dark blue ink splattered the top of the parchment where her quill hovered as she sat in her muddled thoughts. I do not know how to start this letter, so I will simply begin in the thing that is hardest for me. I could not stay with you in Rivendell because of my own weakness and I am ashamed that I have failed you so. 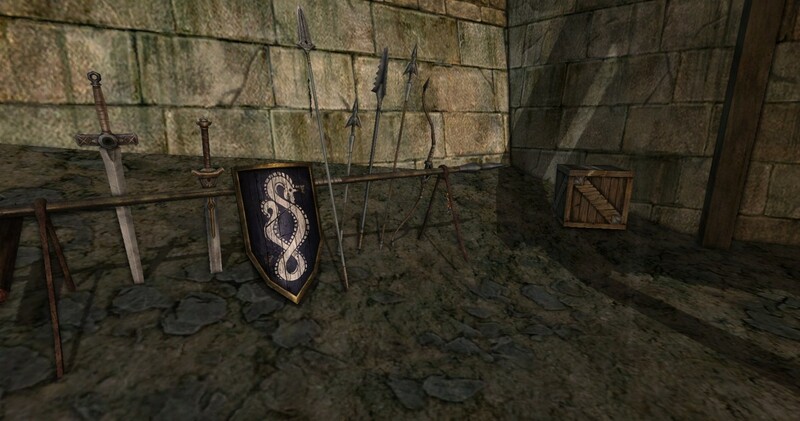 In Dol Amroth, some years ago we discovered a plot to overthrow the Prince through a conspiracy with Southron Corsairs. These mysterious folk from the southern lands brought two dangers to our lands: a weapon that could shoot little balls of lead using fire and a medicine that if abused, caused more ill than it cured. I am a healer, Oendir. That is why I travel with the Wayfarers and why you recruited me. A young Swan-knight by the name of Sir Pengail of House Nomin was injured by one of those terrible fire sticks and the injury was beyond my abilities. A Southron physician tended the young man and prescribed him a pill of what they call opium to ease the searing pain. This opium came in many forms and it was used to poison many Swan-knights who fell beholden to its powerful effects. It dulls the senses–all senses. It makes pain go away, makes one drowsy, inured to the problems of the world. In Dol Amroth, as a matter of professionalism, I tested it on myself so I knew what I was administering to that poor knight. I quickly discovered that if I did not take more, I became violently ill.
Back then, even then, you did not understand what was happening to me. Hardly anyone did save Hallem Kemp, who has apparently experimented with potions and mysterious, unknown mixtures before. I weaned myself off of them then and swore to never touch the stuff again, but when circumstances fell on me, already sick with worry about you, and when Hallem said that we should stop trying to help you remember your past, I fell to my weakness again. I am ashamed and I am ill and I am trying to get better so that I can come back to you. You need me strong and patient and loving. Not sweating and groaning and vomiting. Oen, our past is nothing if not turbulent. The life of an adventurer is always so. There is one thing that is steady through all of it, through the travel and the pain and the loss and the triumph. It is you and my affection for you. You are my best friend, my confidant. The one who knows me best. Sadly, that might not be very well after all we have been through. We are both rather guarded individuals. We keep our pain closeted away so we do not have to burden others who already bear so much. We need to be more open with one another, Oen. I need to remember that I trust that no matter what, we will always return to one another again. I will come to you soon, if you will have me back. I am getting better. This will pass. Our children miss you, and I believe they are strong enough to know what is happening to you. I am going to bring them with me and you can decide if you wish for us to stay there with you, or if you wish to come back to Durrow. For now, I hope that you are resting and happy. I love you, Oendir. I think that part of you still remembers that you love me. Cwendlwyn looped the tail of her “n” low beneath the line of letters and drew it into graceful bows and loops to empty the nib of her quill. She folded it, sealed it, and then carried it out to Callee. Callee’s stern eyes rose to study Cwendlywn’s face. She frowned, but nodded and pulled it from her sash. “Are you certain?” she asked as she handed it to her. Cwendlwyn nodded and turned to go back inside to gather the rest of the mail. On her way back from the post master’s, she took a detour to a low bank of the Brandywine River. The muddy waters rushed by as they had each time she had stood there in that same spot north of Buckleberry Ferry. Squatting to sit on her heels, Cwendlwyn dipped her hand into water and thought to herself that even though it was still the Brandywine River, it was not the same Brandywine River as before. Fresh waters flowed forever, a mix of old and new as it swirled past. Just like the Adorn back home, she thought, and for the first time in a long time, she thought of the Riddermark as home. I have many homes, she thought as she uncorked the vial and poured its meager contents into the murky waters. In an instant, the opium washed away and fresh waters cleansed her fingers. For good measure, she tossed the bottle in, too. For a few more moments, Cwendlwyn sat there in her unladylike squat hugging her knees. Then, slowly, awkwardly, she unfolded herself and stood. With a deep breath, she turned to go back to her family. Cwendlwyn, daughter of Framham of the Mark–of Dunland, did not ride her horse to Buckland. When she climbed into the saddle, it took far too long for her to fit her toe in the stirrup and she had difficulty situating her legs over the saddle. Then, she kept dropping her reins. Anyatka, daughter of Kolrson of Dale, suggested that they all ride together in the worn wagon so they could keep each other company. So Cwendlwyn found herself in the wagon with Solstan and Neilia and Bean, Jr. walked beside them as the rode. Truth be told, she thought that she slept a good portion of the ride, but time was hard to grasp nowadays. The wagon rocked gently back and forth; they did not rush. They had no need to speed their way to the Shire. Time moved differently there, Cwendlwyn said. It would be the same tomorrow as it was today. She had taken Callee’s letters regarding the influx of southern Men as a consequence of the war to the south. Bree surely had its handful and a half of refugees seeking peace. The problems with money and curfews and Men were not things she was unfamiliar with. So she didn’t think much of it. Cwendlwyn didn’t think much of anything, really. When she did think, the thoughts turned on her and she did not want them anymore. The thought was considered that a potion to quiet the other thoughts forever would be nice, but a potion like that would quiet everything and she wouldn’t be anymore. Luckily, the thought that some people might actually be upset about that jolted her out of that musing. She had already been weighing which ingredients would work best in such a concoction when the sound of Solstan and Neilia arguing about who would eat the most cake pulled her from herself and she remembered who she was. She smiled at them. Their driver, a local boy from Bree called Bud Goldenleaf, whistled a cheerful summer tune. She reminded them that there would be enough for both. Callee would bake until their hearts were content. What transpired at the Hay Gate would have bothered Cwendlwyn on another day. She watched the debate between Bud and the Man and knew that wasn’t right. Why did men speak for Hobbits? The Bounders stood aside, present but silent. Eventually, had to climb out of the wagon herself to see what was the hold up. She strapped on her sword. She gave the men a Look. Her temper was dampened by southern flowers and she handed over the gold with a roll of her eyes and a bit of a stagger just so they could be on their way. Callee had the candles burning. Bud was given a guest room to sleep after the horses were stabled nearby. He helped carry the children to bed and Cwendwlyn couldn’t place why her chest tightened at the sight of Solstan’s sleepy head resting on the shoulder of the man who was not his father. She had him put him in her bed and she laid Neilia down beside him. Let them comfort one another, she thought somewhere among the fog. As Callee sat down at the kitchen table, Cwendlwyn stirred her tea. She had hardly moved from her chair after Bud was gone and the children were settled. Only her hand with the silver spoon stirred and stirred slow circles in the porcelain cup. Callee sat for a long time stirring while Cwendlwyn fell into silent, wrenching tears. They poured down her cheeks, yet the distant look in her eyes said she didn’t really understand them. “Shh, love. Cwen. Cwen, look at me.” Callee reached out to hold her hand across the table. Reluctantly, Cwendlwyn lifted her eyes. “It is bad, Callee,” Cwendlwyn whimpered. With her unnatural youth, her tears and weak, tired voice, she reminded the Hobbit of her first days after she came up the river to Buckleberry Ferry. Yet, Callee thought, there was a strength then that Cwendlwyn lost somewhere in the years between. Time had chipped away at her stubborn resolution. Or maybe it was not time, but the little bottle that sat on the table next to their clasped hands. Cwendlwyn thought about it, her dull eyes roaming over the polished wood of the table before her. Cwendlwyn rose obediently and padded down the familiar hall to the bedroom. She sat on the edge of the bed and looked at the dark window for a long time before lying down. Callee was right. She needed to sleep now before the medicine was out of her system and sleep would be harder to come by. They baked a cake the next day and Solstan decorated it himself with horses and ships in white icing. Cwen wore her apron and helped stir, but let Callee direct the measuring and pouring and keeping of time. She only had to excuse herself once because the room started spinning a bit and a she broke out into a cold sweat. There it is, she thought. The last relief is floating away. That evening after a day of sending out little presents to all of the Hobbits he knew, Solstan settled down to play with the new toy ship he received for his birthday. “Really?” He pulled back from her and looked for her comforting gaze. “I’ve never been to Rivendell!” Neilia said excitedly. “It must be so pretty!” she gasped dramatically. “It is, darling, and you will love it,” Cwendlwyn assured her. “When will we go?” Solstan asked with some nervous trepidation in the quaver of his voice. Solstan went to Callee with the ship and sat beside her to explain the rigging and the lines. Neilia stayed in Cwendlwyn’s lap and for a moment, the pounding in her chest calmed. That night she slept outside. The breeze cooled her sweats and the song of the trees soothed her restlessness and anxiety. The nausea hit with less force when the stars bathed her forehead. In the moments of peace, when the nausea was at bay and her skin cooled enough to dry, she could hear the voice of the world around her growing, changing. Leaves furled to rest in the absence of the sun. Roots sought the nutrients of the water and soil. Life persisted. Note: All songs are taken from Cwendlwyn’s established playlist! With undercurrents of berry, black and blue. I hope this reaches you soon. I was distressed to hear of your hasty departure, though I understand the need to run away from the troubles of this community. Had you asked, perhaps I would have gone with you to explore the ice shelves of Forochel again without the threats of war between your peoples. There is always a threat no matter where one is though, isn’t there? Our recent travels have shown that us that much. I hope this letter brings a warm spring for you all the way up north. How is the family? Solstan and Neilia are well; Oendir and I wed last year. Unfortunately, Oendir has gone missing. As his father, I thought that you should know, though there is little that you could do to help in the search unless for some reason he left the Trollshaws to run naked through the snow. I highly doubt that is where his feet have taken him, but one thing I have learned is that nothing is out of possibility. Give my regards to Simi and the children, especially Kipina. You are in our thoughts. P.S. If you think of it, could you write me about how Taja is doing? Did he return to the settlement? He left us abruptly and I am worried about him. ~C. My patch of lemon balm is not doing well this spring. How has your garden been faring? Do you have any tricks for the herb? I know I will be using a bit of it this season. Please let your father and mother know that I will be in town for a bit if they are interested in tea. Greetings, my friend. I will be bringing the children to Gardeneve on the first of the month to enjoy a bit of a holiday and help with the early spring drying. I was glad to hear that the wedding of Giles and Vera went of without too much of a hitch. It is always interesting when your folk step outside your farthings to fall in love. It is dreadful about the lack of garlic mashed potatoes at the party, though, I agree. We have much to catch up on. I look forward to seeing you soon. How are you? How is the tribe? I wanted to let you know that we are still searching for Oendir. The company has been travelling a lot on assignments, so there has not been a lot of time to look. I still believe he is alive. I’ve enclosed some paints in the package and some canvas for stretching. I know that Han does not wish for you to waste time on your art, but you could paint anyway. The camp could use some colour. And if Han gets snappy, tell him that all cultures create art. It is what separates Man from Animal. I miss you. Be safe. With the exception of Neilia, I have never thought much about those I love dying. Men die, or they leave, and either way there is always loss for those that remain. My Hobbit friends have passed gracefully (for the most part) due to old age. And Elves…their spirits never die, I’ve heard. They pass on to Mandos’ halls and find their place among their people. War changes dying. It is brutal and unnatural and it rents one’s spirit into pieces. No healer alone can mend the wounds war brings down upon the land. I am Neilia’s mother and it is my job to protect her with every fiber of my being. 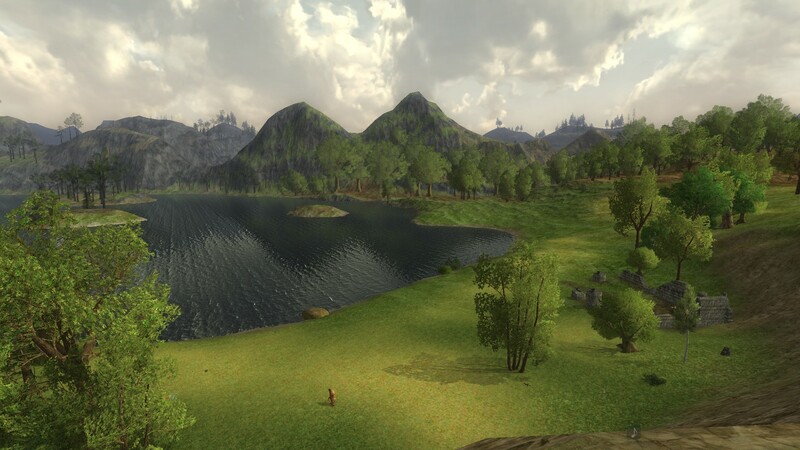 I tell myself that by coming here, to Dol Amroth, I am protecting her by shoring up the war front and making Gondor stronger. Gondor must hold. Dol Amroth must hold. It is remarkable how a city so known for its disciplined army is so full of undisciplined citizens. The infighting and treachery and treason make it nearly impossible to know who to trust. Oendir always said he did not like the Knight-Captain Aureldir and now he’s played a role in the death of Rivalthor and the other knights recently slain in cowardly assassinations. And while the others had pegged Rivalthor as the villain, he release of his fiancee had made me take a step back. Unfortunately, it was too late. Why didn’t I say anything more? A note on a document that I feel half the company does not even bother to read. It was not enough. Did my own dislike for the man allow my tongue to stay silent? Did I truly believe Rivalthor was sending us into a trap? Or was it simply because they do not listen, and I grow weary of the looks that do not hide that they think I’m crazy? I digress. I often digress recently, though rarely aloud. Oendir is beginning to learn when my mind is going though outwardly I am silent. He remembers to ask when he comes out of his own worries and notices mine. I do not hold it against him that he dwells so often in his own thoughts. He is not used to having another around to consult after Gisla left him, and it will take time for him to remember I am always here. I try to lessen his burden. He is a good man and he deserves some peace from the constant anxiety that plagues him. He doubts himself too much, but it is the company that should be doubted. Each of them has their own agendas and views on the way things should be. Many of them are willing to do whatever it takes to see them through, all in the cause of the greater good. Funny, isn’t it? We sound so much like the city I despise. So at the end of the day, I will tell Oendir that he is strong and I will rub his aching foot and I will love him until the end of time. I will always be at his side, whether I am a Wayfarer or not. I was not sure what to expect on my wedding night. Gaelyn spent more time with me alone than any other man before. I never felt judged or pressured or threatened in his presence. There is an ease about him that I cannot help but be drawn to. He did not pressure me or make demands of my body. I told him things no one else knows. Embarrassing things! He only laughed and smiled and asked me more about myself as though he was actually interested in me and not my family’s money or the scandal or my shame. Is this what is like to be a person again? Gaelyn is an admirable man. He seems to understand the politics and the thoughts of the city without being drawn into them directly. Perhaps it is his charming smile or the way he grins when he says something he knows is witty. He smiles as though he is so very pleased with himself, but not in that pretentious or off-putting manner. It is more the smile like he knows that you know that it is all a game and it would be easier if everyone just came clean, but he doesn’t mind if they keep playing because he wants to keep playing. It is a game to him, the ways of Dol Amroth. He does not take things lightly here, nor does he let them become a burden. That balance is refreshing. It cleanses my heart and gives me hope for a future. A future with Gaelyn Fletcher. I am now Halvel Fletcher. No “Lady,” no house. No more shame for blood that I cannot change. No servants or handmaidens. Remlors are fish merchants. What are Fletchers? It remains to be seen. I want this marriage to work, don’t I? I had tried not to think about it, because Gaelyn was always clear that he would support whatever decisions I made after leaving the city. I did not have to worry about that until we were safely away. But now that I am married and am here with him, I want it to work. I want to wake next to him and see the true wreck that is his hair in the morning. I want to gaze into those green eyes and feel like I am held as an equal. I want to feel his hand in mine and on my skin. I was afraid of a man’s hands before, but not anymore. I made Abiorn go camping with me. He was incredulous and suspicious, but once I convinced him that I really wanted to go, he started packing right away. 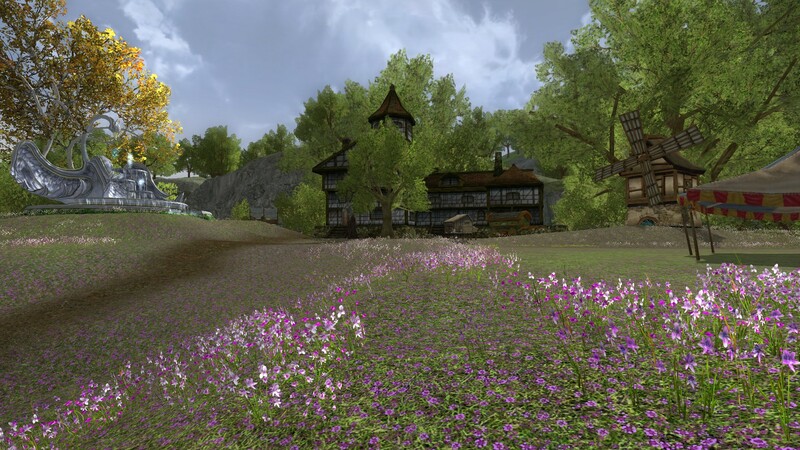 He started going on and on about the woods around Durrow and how he was going to show me a lot of neat places, but I did not want to stay near the southern Bree-fields. I wanted to go north, past Bree, past the graveyard. I wanted to go to Starmere Lake. It had been months and months since I had been there last. Probably closer to over a year. Anric took me there once and we swam all day long in the crystal clear lake. We yelled and laughed when our voices echoed off the surrounding cliffs. He was different there. At ease with himself. And it had been beautiful. I wrote to Anders to let him know I would be gone for a few days. Though we left a note for Eirikr and Eruviel, I did not think that we would be gone long enough to need it. I just wanted to see that place again. I thought about writing to Morty, but decided that writing him would not be appropriate. And I didn’t want to write him. I felt like he did not deserve to know, but then all the way up to the lake, I worried about how he would fret if he went and found the house abandoned. I always worry about what he feels. It was beautiful still. A little bowl of solitude and freedom nestled into the Brandy Hills. Abiorn and I set up camp and swam the first day, but the second day, I let him swim out to the islands by himself while I set up my easel and stirred my paints. All around me, I could hear the nature spirits on the wind come to investigate the bear-man and his sister. They stayed near all day, whispering and dancing around me as I worked. When Abiorn returned, he found me angrily stabbing at the canvas with my paintbrush. Tears flowed down my cheeks, but I did not know it at the time. Abiorn came to me and put his hand over my own. He urged me to put down the brush and then pulled me into a giant bear hug. What is it, Anyatka? he had asked in his simple and straightforward manner. How can I help? Do I need to bite someone’s hand off? It was absurd and I laughed, but still I cried. I did not know what made me ache until the pain turned to anger. I was not an angry person; I did not recognize the emotion even as it made me ruin the bristles of my favorite brush. So Abiorn just hugged me and the light faded as the sun dipped behind the cliffs and I tried to figure out why I was so sad I could hardly even paint. Eventually, I calmed down enough for Abiorn to release me and cook some fish he caught for dinner. As the smoke rose from the pale slabs of delicate flesh, I realized what it was. I was angry with Morty. I was angry with Morty for lying and using me and making me fall so desperately in love with him that still I longed for his smile. I was angry with Morty for liking Anders and approving of the new match like it was easy to get over me because I was just another girl. I was angry with Morty for having a child with Ansithe and never being able to entertain the thought of having a child with me, like I was not good enough to bear his line. And I am angry with Morty that he does not deserve me, he never did deserve me, and he does not want to do anything to try to deserve me. I know that many of these things were out of my hands over a thousand years ago. It is not my fault that he is what he is and I am what I am and I tell myself I should be honored to have his attention for the short time that I did. That if he did pledge his heart to me for this lifetime, he would suffer the pain of my death and that is not fair of me to ask him to do. But life isn’t fair! If we were given this time to be together again, why should we waste it apart? The sun had long gone to bed when I was able to look at my painting again. The palate was dark; I did not realize I had chosen to capture such a beautiful day in such somber tones. I raised my hand, anger that even in my art he was present giving my virgin powers strength: a gust of wind rose to knock the easel to its side and it caught the canvas like a sail. It flew into the darkness and just under Abiorn’s shout of surprise, I heard the splash. Tomorrow, I said to him. Tomorrow, we are going to go foraging. I need new paints. Nodding in shock, Abiorn stared at me, but I did not mind. I would come to understand this new feeling, this gift that Morty gave me. I would master it, this Anger. And I will be stronger for it. The sun will rise tomorrow, and I welcome its heat. Thank you for your letter. I will be honest and say that for some time, I did not think you were going to write me back. I am glad that you did, though I fear my response will not bring either of us joy. When I read your letter, I closed my eyes and imagined what you described. Part of me wants that. So much of me wants to know a man who can express himself so eloquently and make me feel loved even with leagues between us. One who will love Neilia as his own and give her everything that she deserves. My dear J, I cannot marry you. This weekend, I will be married to Oendir Arrowheart. Our children love each other as brother and sister. He has been in my heart since I first met him. We both bear so much trouble from our pasts, I never dreamed he would propose marriage, but when he did, I knew it was the right thing to do. I mourn the loss of our future together. I mourn the friendship that we would have had. I am selfish enough to wish for our friendship to continue. That I can still be the honest voice at your side among the gossip and lies that fill the streets and taverns of that city, even from afar. But it is wrong of me to wish such a thing. Is it not? Please do not hate me or think ill of Oendir. He knows nothing of my accepting your proposal; only that it existed. If you must choose between the two, then only I deserve your wrath, my lord. I will bear it. The company will be journeying south again in a few week’s time. 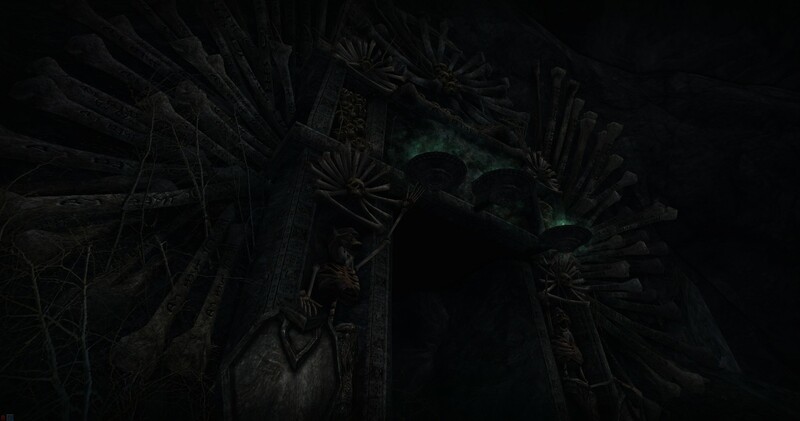 I believe it is Oendir’s intention to visit his brother, Sir Carmanadh. Please, do not let my actions hurt them. It is more than I should ask, but ask I must. I am so sorry. The ink of the ‘ry’ is smudged and a circular stain mars the fine parchment. Pinecrest smelled of dust and blood. The windows stood open and a bright afternoon sun shone through, but the smell dispelled much slower than the darkness. Outside, a blue jay jeered loudly and then landed on the front sill. It watched Cwen as she scrubbed the dark wood floors in front of the fireplace. The buckets of water she had used to clean the blood away from his body were now refilled and used to scrub the floors. Rheb had lost so much before she arrived. She had ruined her dress in the pools as she cleaned the cuts and scrapes that covered him and stitched the wound in his arm. The warg’s teeth and claws had been like a flurry of daggers as they fought. When she closed her eyes, she still saw Rheb ripping the flesh of its throat and then turning to face the one advancing on her. He bled to save her and her daughter, and once again she owed him her life. When the boys had returned to the Broken Cask with their report of the scene, Cwen had been certain they would report of two wolves and a dead half-orc. How could he take on both of them even as injured as they were? She thought of the second warg sneezing on the pepper she hurled at its great ugly face and she grinned to herself as she dipped her scrub brush into the bucket. Rheb had pulled her bodily from the back of the warg and only because Neilia was cowering in the bushes did Cwen leave him to face both alone. She could have made it bleed more. She could have prevented some of the pain Rheb now suffered on her behalf. She scrubbed harder at the bloodstains. Oendir had said to not worry about the floor because he needed to replace it anyway. Still, she did not want Rheb coming home to his blood everywhere. He had said it was his home, and she was going to make sure it was welcoming when he decided to finally come back for good. Cwen frowned as she rubbed at a particularly dark spot and hoped Oendir would be able to find him hiding somewhere in the hamlet. She was relieved when he offered to look for him, though she was not sure how he would find the time between the demands of a Durrow in crisis. Still, Oendir’s expression, his joyful relief when she told him that Rheb was not a part of the siege and was in Durrow had been palpable and warm as he embraced her. Her frown faded as she thought of Oendir looking so light and strong as the stress of Rheb’s disappearance lifted from him. It turned to a smile as she thought of their swim in the lake after. They had broken through some barrier that had kept them from each other. She felt it wash away in the cold water. In the way he finally looked at her in the sun. They could make this work, she thought. They would make this work. After all, Fallowmath was about ancestors and family. All of three of them had broken pasts when it came to family. Perhaps now it was time to start with a clean slate and build a new one. Life flickered throughout the small hamlet of Durrow-upon-Dunwash. In the middle of the settlement, high on the hill, the Fallow-flame filled the sky with its light. Sparks flew high in the air and the smoke burned white as those that attended the flame added fuel gathered with careful hands. In the forest tiny glowing spiders scurried on through their lives. In the windows of the houses, candles burned like elusive wishes in hearts and eyes alike. Thorns born of love and attentive care. Her blood stained the sharpest prick and she was careful as she threw the clipping from the rose bush into the flames. Spirits around us, watching over: protect my family and friends. And let Morty know we are all right. He would not let it show around me, but he will worry. Stepping back, she smiled at her little family and tried not to feel the hollowness of her contentment. Questions born of strength and knowledge. He was getting better at using his sister’s paints to create the rash; the dogs lay wrapped around each other as they slumbered against his leg. I wish to know my past. Please, just tell me who I am. Help me find out who I am. He toyed the with black claw hanging from the cord around his neck and listened to the wind in the trees. Bright eyes born from youth and burning firelight. Her dreams and wishes rose on the smoke rising above the roofs of the hamlet. Please make Mister Commander Arrow’art be nice to my mama and make her be nice to him, too! I really, really want him to by my daddy, please, please, pretty pretty please! She smiled at her make-shift family and tried not to feel the empty spot inside her. Hesitation and doubt born from hours of self-council. The feather had found its way into his pocket without him realizing he picked it up, a habit formed from years of hand-crafting fishing lures and scouting the wilds for suitable hackles and tails. Let her be at peace. Let her hear my voice and let her know that I will fix my mistakes. As he stepped back from the flames, his eyes fell on his sister and the Elf and he felt a pull in his chest that he could not identify. Guilt and self-loathing born from her own heart. The hair curled and twisted in her grasp before she released it into the flames. Guide him home safe and sound. Let it not be him; let him save us from this trap. I would gladly give my life if it meant saving the rest of Durrow. If it meant letting him know I am sorry that I failed him. Please, don’t put out the lights. The room in Ravenhold was just as she found it the day Oendir opened the door and motioned her inside. That evening seemed so long ago, but not even a year had passed since then. Cwen had not had the chance to see the fields lying thick and green with crops and blossoms and that saddened her as she stared at the empty room. She loved the lay of the grounds of Ravenhold and, somehow, she knew the view from the fountain would be spectacular when the grain fields were swaying like an ocean of gold before harvest. But, she told herself, the view from her parlour at Gardeneve was spectacular, too. The wagon was loaded. Neilia was already downstairs saying goodbye to the staff that rose to prepare for dawn. The girl remained chipper as she told everyone she would be back soon and that they should not be sad to see her leave. Most gave her pats and hugs and appropriately sad smiles that they would not give her mother. Cwen did not seek them. She did not want to see the rumours and the truths in their eyes. She only wished to be done with this journey and find the peace she desperately needed in the quiet life of the Shire. As she turned her back on the room, she ran a finger along the edge of the letter she had spent most of the night writing over and over again. Each failed attempt found the fire; she had watched them curl in the flame as it consumed her words, and for some reason it calmed her. The uncertainty of her decision lifted with each tiny piece that floated on the hot air and faded away. The issue of Biramore could not be dealt with here in Bree. That chapter of her life needed to be finished before she could truly begin the next. But still, it was hard to find the words to tell Oendir what she felt needed to be said. She struggled to capture each emotion and trap it on the page. Even now, she could still toss the letter on the fire and watch it burn until all that was left was a dark purplish stain of wax left on the logs. But she didn’t. Instead she turned from the room and walked with a stubborn purpose. She looked up at the staircase that led to the third floor and then on to Oendir’s study. He wouldn’t be there, she thought to herself as she willed herself forward. She would leave it for him to read or discard. It was his choice. The study felt small despite its size. The smell of woodsmoke and fresh air surrounded her, but she pushed it away from her thoughts as she crossed to his desk and slipped the note among other unopened letters on his desk. The moment the letter left her hand, the desire to flee Ravenhold overwhelmed her and Cwen rushed down to the yard where Neilia waited with Cook and grumpy Benjamin holding the reins of Bean for her. The small band they were traveling with to Buckland would be leaving from the West Gate soon; swift goodbyes and an unusually stoic Neilia sat before Cwen on the great horse’s back as they rode away from Durrow and the family they had found there. Home, Cwen thought as the sun rose high enough to warm her back. I’m on the road to home. A week later, old Benjamin trudged up the steps of Ravenhold to discuss the quality of the remaining feed and oats stored for the winter with the commander. He held a bill of sale and several other envelopes and he was determined that something was amiss with the latest deliveries for the horses; and confound it, he was going to right it if it was last thing he’d do! Unfortunately, the commander was not in. He was often ‘not in’ lately, though it seemed as though it was not because he was off gallivanting around in who-knows-where or anything of that sort. Being mayor must occupy much of his time and being a father ought to occupy the rest. Benjamin grumbled despite this. He considered leaving the bill of sale on Oendir’s desk, but he knew the man would not understand without him to explain the discrepancy. Heaving a sigh for the time he would lose trying to explain it to the commander, he turned to trudge back down to the stables when the corner of an unusual envelope caught his eye. Who in Stockard’s grave would be sending the commander a letter in a lavender envelope? Who went to such an effort to procure a bloody lavender envelope? Without much consideration for the act, Benjamin snagged the lavender envelope and relieved it of the pile of other envelopes stacked atop it. The dark purple seal was already broken. He carried it against his side and kept it covered with the papers he held until he found sanctuary from prying eyes in the stables. Thank you for Songhorn. He is my most favorit present I have ever got. Even more than my dresses in Dol Amroth. I will miss you. You are brave and strong! I hope Solsey grows up brave and strong like you so he can fite bad people and safe us, too. Please come visit me and Mama in Buckland. You are nice and I like it when you make me laff! Benjamin felt a bit guilty for pilfering the note now that he saw it was from the little girl. The yard was much quieter in these cold days without her shrill shouts of laughter as she played. Often the children from the nursery would come to play as well and together they filled the neighborhood with their energy. Yes, it was quieter with her gone from Ravenhold. Another slip of parchment was behind the little girl’s note. I know that it seems as though I am running away. Many see it that way and there is little I can do to explain to them that I am not running. I think you understood when I told you that I did not have a home in Durrow and that I needed home right now. I hope you understood. Benjamin started to read, but quickly stuffed the papers back into the envelope and decided it was better to replace the thing at his earliest convenience. He tried to ignore the rumour mongering of the town gossips; he did not want to know what else Miss Cwendlwyn had to say to the commander. It was none of his business. It was none of anybody’s business. And even though he had more than a few complaints about the know-it-all from the south, Benjamin felt sorry for Arrowheart as he turned back to the horses gazing out at him evenly. As one, their gazes shifted to the stall where Miss Cwendlwyn’s steed had been kept as if they knew what was on the old stablemaster’s mind. Grumbling, Benjamin shoved the purple envelope onto a table where several harnesses lay to be tuned, the metal pieces polished. Horses were easy, he thought as he picked up a worn bit of leather strap. Women. Women were the tough ones. Gardeneve quickly transformed from a cold shell of a house to a warm and welcoming beacon in the cold Buckland night. Cwen and Neilia worked diligently for half a day to get the house in living condition; their work was certainly made easier by Callee’s diligence while they lived in Durrow. After the furniture was uncovered and the dust swept out, they set on the kitchen like two madwomen. Shortbread, sugar, gingerbread. Flour covered every countertop as they baked dozen after dozen and set them out to cool. Jellies, jams, crystallized sugar sprinkles. The Hobbits were coming, and they expected full bellies. They baked late into the evening and then settled down in the parlour to to enjoy some of the fruits of their labor. 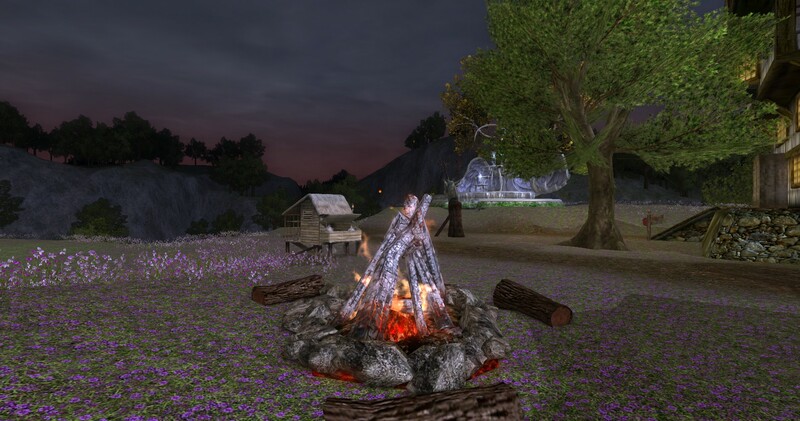 Before a cozy fire, Cwen read to Neilia from a book of tales from the first age she had purchased in Dol Amroth. The little girl interrupted frequently to point out character flaws and plot twists and the tragedy of it all. Cwen’s heart nearly stopped before it took off like a Mearas . Huffing in protest over bedtime, Neilia slid off of Cwen’s lap and padded into her room. Cwen sat for a moment rubbing her brow before pushing up from her chair to go tuck her daughter into bed. The garden was bedded down for the winter; Callee’s visits had seen to it that the post was collected and the weeds kept in check; most of the flower beds had been cut back for the cold, but a group of ghost lily husks stood brown and dead in a far corner of the yard. Though Cwen told Neilia they would take care of it in the morning, sleep eluded her and the full moon illuminated the withered stalks well enough to take the shears to them. Cutting back the plants was easy enough. She piled the stems by the bed and sat back on her heels. The lilies were hardy and would have done fine without the trim, but by clearing the old out, she knew the new growth would have the space it needed to thrive. Tomorrow, she and Neilia could go to the woodworker’s for wood chips to keep the earth from shedding all its warmth. 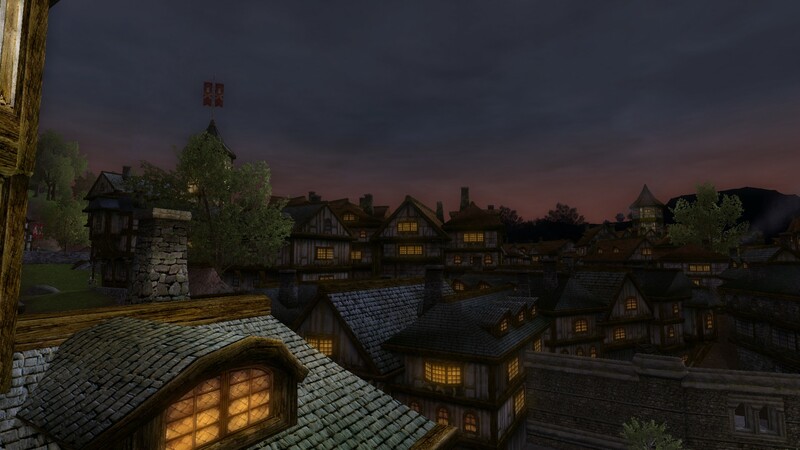 As she sat staring up at the Buckland sky, she sighed as her thoughts drifted back to Oendir, and Neilia’s hopes. Gardening applied to life, she knew. Yet it was so much more difficult to do to life. It would not be dead stems that would be tossed aside if she trimmed the ghosts that crowded her heart. But who would it be? Rheb, whose attention and devotion made her feel like a (very satisfied) queen? Or Oendir, whose quiet strength and goodness bolstered her own will and desire to create good in the world? Didn’t every woman deserve both? The stars whispered no answer. Inside her breast, her heart waged war on itself and her reasoning was no help, for it knew that one way or the other, now that Rheb said he loved her, they would all suffer for it, not just her and Oendir. She thought of Oendir’s words the day after that fateful dream. Since then she had begged him to let her go, let her run away to the land of furry feet and elevensies and rich soil. Each time, he brought up her contract, her duty. How a good field medic was so hard to find. No matter how much both of them were hurting, he would separate personal pain from duty and carry on. The amount of composure with which he delivered his words chilled her now as they did then. The Wayfarers need you, and I’m not going to fight with my own son. Any other man, Cwen, and yes. I’d probably battle a dragon. Always, Oendir put others first. His selfless protection of those around him had drawn her to him in the first place. The irony of it tasted bitter. He didn’t want to break Rheb’s heart. Hadn’t she already? Hadn’t she broken all of them now that her relationship with Rheb was out in the open? Her racing thoughts paused. Her relationship. Yes, it was a relationship, not just an affair spawn from loneliness and despair. She was genuinely fond of the youth and had begun to share more than just her body with him. She did not know when it began, the trust. She did not know how to stop it. Cwen closed her eyes and pictured Rheb digging shirtless in his yard, the dirt flying out of the knee-deep hole as he flung it with his bare hands. The sweat on his skin glistened like the remnants of the tears he perhaps was attempting to bury. She did not have to go to him; even as he hurt knowing that Oendir knew, he reached out to comfort her. It had taken every ounce of her willpower to not give in, not crawl into the sanctuary of his arms, and not to lose herself in his version of love. Now, she did not have to be wrapped in his scent to be overcome by him. Now, she only had to think his name and her heart fluttered and longed for the next time her eyes would find him again. Without her permission, she had begun to fall in love with the son just as she had fallen in love with the father. When would she learn to temper her heart? Her fingers were so chilled she had trouble with the knob in the circular door that led back into the warmth and comfort of her home. Cwen gathered up the post from the table just in the entryway and hurried back into the parlour to warm herself by the fire. A few general notices regarding events in Buckland including Harvestmath concerts and the seasonal horse races. A newsletter from the Mathom Society thanking her for her yearly donation and requesting another for the Yule season. She mused on a Hobbit’s value of a bluejay feather from Dol Amroth as she flipped to a dirty envelope sealed with a dark red wax and a plain stamp. Her name and address was written in a jagged, shaking hand that seemed familiar somehow, but a sense of uneasiness descended upon her. She looked around the quiet room for its source, but only found the familiar furnishings of nearly half a decade of living. Carefully, Cwen broke the seal and opened the letter. The hand that wrote the letter was either uncertain or unlearned. The text itself revealed little; only the last stroke caused her to pause. Her breath caught. Then she gasped and this last component tipped her scales completely upside down. Cupboard doors banged open and shut. The sound of boiling water soon filled the kitchen and with a shaking hand, Cwen added three drops of a dark liquid from the little blue vial to the tea. She had done so well since Dol Amroth; her addiction to Rheb had replaced her need for the sedative and she only thought of the opium in the deepest dark of night when she lay alone in Ravenhold longing for sleep. Just to calm my nerves, she thought. Just so I can think on this clearly. It isn’t as though it is the opium. Just some herbs and roots to slow my trembling heart. But she knew who sent the letter that lay open on the floor of the parlour. She wondered when it arrived, but more importantly, where in the world Biramore was now. How are you, my good friend? Is the summer heat waning in Buckland yet, or is it still clinging to the hills with its August ferocity? I miss the way the Brandywine would sparkle like amber when the sun hit it just right. How each little crest of the water flowing ever on was a moment we’d never experience again, like a single heartbeat. Life flowed as a single pulse in the Shire. 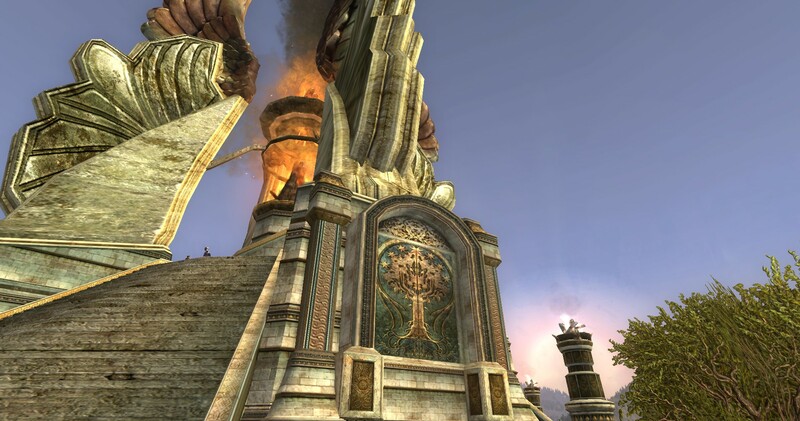 Even in Bree-land, there was a constant thread to cling to when things became overwhelming. It is not so here in Dol Amroth. There are too many wills at play for power and control beneath the festive thump of the city’s heart. My company, the Wayfarers, have a deeper vein connecting them to preserving the goodness of this world than I could have imagined. They are no mere coalition of randoms come together to fight for their version of “good” or “justice.” Oen Commander Arrowheart introduced me to a very strong ally and from the wind spirit Fionwe, I have started to dream. They are more like vivid and realistic visions than dreams. The commander said they are messages from the wind spirit, lessons of the members’ ancestors and perhaps links to the origins of the company. Now, you are a sane, reasonable hobbit, my dear. You perhaps won’t believe in fairies and wind spirits and the inner strength of any Man. But you have not met the commander. His people. They give me hope again, Callee. It is more than I can ask for. But I do have something to ask from you. You know I draw trouble like bees to my honeysuckle blooms. Even here, it finds me. I don’t know who of our lot will be coming back to Bree. Something sinister is afoot and once again, I’m sucked into the brewing storm and I can only trust my companions to lead me out. I won’t say much about what is going on or isn’t going on, for truth be told, I hardly know myself. But I do know that this could end badly and if it does, Callee, promise me you’ll take care of Neilia. Oendir promised he’d make sure she was all right, but she will need you if anything would come to pass that would prevent my return to the Shire. I’m trying not to be upset that this happened. Again. Oendir says that we are in the place where we are needed. It’s a different way to look at the events unfolding, for certain. It’s confusing to the fear and bitterness I have in my heart. To consider finding this trouble a calling because we, the Wayfarers, may be able to help takes some adjustment in my mind. I will help those who can. You know I will. And I will try to keep my mouth shut, like I always do. But if it is not enough, promise me you’ll help Neilia. That she has a home with you or that you will ensure Oen finds one for her. As Cwen lay in the “only” bed left in town, she tried to think nice things about her conniving, scheming little runt of a daughter. She swore she heard the child giggle in the darkness as she snuggled with Solstan, Oendir’s son. Her temper flared and she thought to herself that Neilia should be grateful that Cwen wasn’t big on laying hands on children. If she had been…what a whipping would be waiting for her. The night creeped on and even though the bed was soft and the sheets clean, the body heat of her commander radiating so close to her served as a constant reminder that she was not alone in said bed. How many months had it been since she had shared a bed with a man? Over six or seven…over half a year of sprawling across the mattress and reaching for shadows in the dark. Now she found herself awkwardly clinging to the edge of the mattress because she feared if she moved any closer to the center of the bed she would find herself quite tempted to roll toward the warmth his slumbering form offered her. It wasn’t that she was attracted to the man who currently paid her way in life. She wasn’t, she told herself. And even if she was, he was her commander. Her boss. And he was married. Really, what were Neilia and Solstan thinking and how had they charmed the tavernkeep into saying there was only one room left for the two families to share. Into saying they were husband and wife. She should be grateful that Neilia wasn’t screaming in terror after what happened in the Paths of the Dead. Cwen was not afraid of much after thirty-six years of hard life. She knew the stories of the Oathbreakers that dwelled in the mountains. And she had felt pain and fear and blood and deceit and loss everything in between. She tried her best to keep Neilia from experiencing such terrible things. She was only eight years old. But Oendir was her commander and he was the boss and she tried to disguise her shaking nerves as they led the horses through the caves for Neilia’s sake. When the swarm of spirits flew at them like a wall of death, she ran under his order. He commanded them into the river where finally the mass broke apart like an icy fog dispersing beneath the first rays of the morning sun. They all followed his orders with a loyalty she had never seen since the days of the Hielda. His words repeated themselves in her mind: You’re not alone. You have us. You have the Wayfarers. He shifted on the mattress and her body sank toward his as it dipped beneath his weight. Béma ‘s balls, he was a good man. Men and Cwen usually meant painful separations. Her father. Anidore. Arodionn, Gathon, Elodir, Zhevruil, Biramore, Zhevruil…Zhev. She had been a fool to think he meant it when he said he wanted to settle down in Bree and become a real family. The man was unable to stay out of trouble for more than a single sun’s passage behind the clouds. When he disappeared – again – she swore to herself that she would only think of Neilia from now on and unless he was the Huntsman himself come to protect her from all the evils in the world, no man would be able to occupy her thoughts more than her daughter. Though, it appeared as though her daughter was thinking a lot about her prospects with a man. Neilia and Solstan’s giggles had long ago faded into the deep even breaths of sleep. Beside her, Oendir shifted again but seemed alseep as well. She knew their journey was not over and the rest that eluded her was not a luxury but a necessity. She slid from the bed and padded softly over to her bag where she withdrew the little blue vial. No tea. No rich stout to wash it down. Just one tiny drop of the mixture of sedating herbs on her tongue and she padded back and slid in beside Oendir. As her lids grew heavy, she smiled despite their terribly awkward situation. At least he took it well and he remained true to his word. She wasn’t sure how to act around a man with such power who wielded it with such grace and humility. But she did know one thing. This time, she wasn’t going to fall in love. 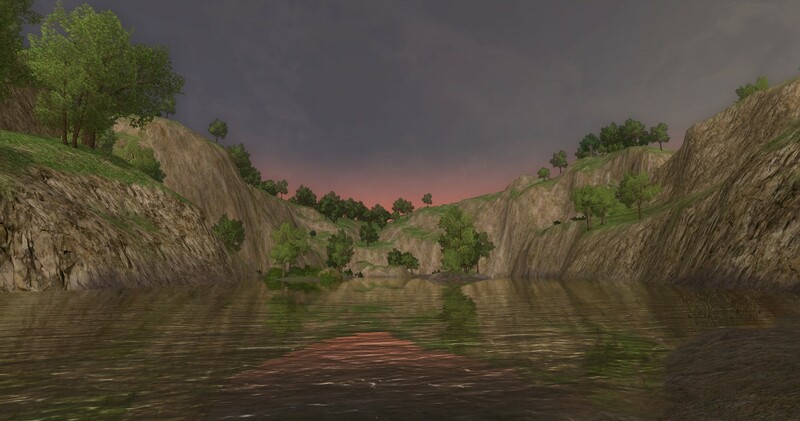 Cwendlwyn stood on the banks of the Brandywine and watched the brown water stream by the steep banks. The wagon borrowed from Blanco Banks broke an axle just north of the hedges separating Buckland from the the Great East Road. Unloading their possessions took most of the morning and now they waited for the spare part to arrive from the carpenter. Neilia splashed in the shallows of the river, closely watched by Callee. The Hobbit had willingly agreed to accompany them to Ravenhold to help mother and daughter settle in before returning to Buckland to be caretaker for their home while they were gone. Cwen thought longingly of her gardens but knew that moving to Bree for the time being was best for her little family. After all, Biramore was not coming back. Cwen had to face that now that the money they had saved was running low. The spacious home and grand kitchen seemed cold without the parties of neighbors and friends visiting from Bree. She couldn’t keep up with the gardens and the cleaning and the cooking anymore though it had never been a problem before. She couldn’t put her finger on what was wrong since he was gone. It wasn’t like it was the first time she was loved and left. Perhaps it was because for once, she truly thought it would last. She had picked a man that put family first and did not involve himself with plots and schemes. She did not have to heal injuries without knowing their cause because it was ‘safer’ if she didn’t know. They were honest with each other. They were true. She thought about her conversations with Anya as she watched Neilia splash after a toad. She had been surprised when Anric told her that the two had separated and she did not pry when he resisted saying anything more on the matter. She now knew Anya was entertaining thoughts about someone other than Anric, but she never imagined she would act upon them. Perhaps the girl’s honesty revealed too much of the situation and that is why he left her. Cwen hadn’t the heart to ask when she visited Eirikr’s new home in Durrow. The poor girl looked on the verge of a nervous breakdown. A frown knit her brow as she considered how her words might have played a role in the destruction of Anya and Anric’s relationship. Such talk of burning and faithfulness. What did she know about such things anyway? She had not felt the burn since Anidore and that turned out lovely, didn’t it? As she watched Neilia play, she answered own question without her usual sarcasm: yes, it did. She had Neilia and she always had to remember that. The time she would spend away on her duties was for Neilia’s benefit; vegetables and coney pies would not bring in enough coin to ensure she was taken care of in the future. If anything happened to her, Cwen knew somehow that Oendir Arrowheart would not let Neilia starve on the streets. Sighing, Cwen turned to check on the repair progress. It was a long day’s journey, and they would have to make camp now that most of the day was lost. Neilia would take the news well; she always had an adventurous spirit and saw the move as a great mystery waiting for her in the land of Men. She was certain to enjoy camping beneath the stars. She smiled slightly as she climbed the bank of the river. She would have to get used to camp again now that she was employed as a Wayfarer. 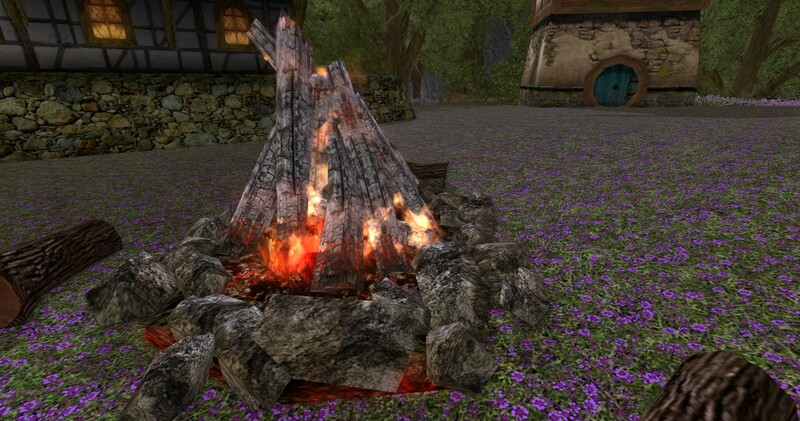 Eirikr poked the campfire with a long, spindly stick. The woods spoke quiet comfort as the dusk settled in around him for a quick hug before sinking beneath the treetops. The rosy skies did little to brighten his mood. Nothing seemed to these days. A snap of a twig alerted him that he was not alone. The Chetwood was full of bandits and beasts – surely a beast would not have made such a tell-tale sound. His hand flew to the hilt of his sword and he held the stick out in front of him ready to swing at the first thing that moved. A pair of eyes reflected the firelight as the sun finally sank beneath the horizon, plunging the woods into night. They watched him, unblinking, until Eirikr relaxed and lowered the stick slightly. A black nose and then a muzzle emerged from the shadows followed by the yellow eyes of the wolf. Eirikr stared back at the animal, fascinated. The remains of his supper rested on a leather scrap he used as a plate. He picked up the roasted rabbit and took a bite before holding it out to the wolf. He expected the animal to run – or charge – but it did neither. It simply padded over to sniff the food before accepting it with a chomp. He wiped his hands on his tunic and sat back to watch the wolf eat. The meat was gone in seconds and the wolf licked its muzzle of the grizzle. Then, it settled down with its massive paws stretched out before him and stared into the fire. For a long time, Eirikr watched the wolf for any signs of aggression. His instinct, however, told him there was no threat and the wolf did not see him as something foreign to the trees and night air. Eventually, it laid its head down and closed its eyes. Eirikr looked up at the stars showing through the gaps in the trees and for the first time since he received Ninim’s letter, their beauty did not sting. The Watcher passed by her hiding spot with that overconfident stride all of them seemed to adopt when on duty. She didn’t know why she loathed them so much lately. She knew many of them and had liked them well enough before. Things were getting more difficult, though, and she refused to go home and admit defeat. It would work out, this time, she just knew it. When she was sure he was gone, Lina swung her legs over the wall and let herself fall to the stones covering the ground. Her arms ached from holding herself balanced for so long and she unhooked the pouch of coin from her belt with a frown. “So much work for so little,” she muttered. “And it really wasn’t worth any of it, now, was it?” The deep voice precluded the hand that grasped her tightly around the shoulders from behind. She looked down and saw the Watcher’s colors and scowled. With her heels, she kicked at his shins, but he anticipated the move and lifted her up and back causing her to kick forward in an attempt to regain equilibrium. A rope was thrown around her arms and looped expertly around her wrists to draw them behind her. Before she knew it, she was trussed and practically helpless kneeling on the cold cobblestones of the alley. The man’s cold blue eyes stared into her own as he reached for the pouch she dropped. He smiled as he straightened. “Oh? Then what is this?” He emptied the contents of the bag into his hand and the gold coins slid from his palm to the street. An empty vial also fell into his palm and Lina’s eyes widened. “What is this indeed,” he continued and tucked the bag into his belt. He uncorked the vial and sniffed. “Poison? I’d bet my life on it. What would a little girl like you be doing with poison?” His broad shoulders blocked out the sun as he looked down on her. “Wha-I-I-” Lina stammered for words but had none. Damnit all! “I ain’t li’l and I ain’t been doin’ nothin’!” she insisted, though she felt it was useless to protest any more. She did not think this particular Watcher was a particularly good man who was interested in the truth and something told her that she was going to regret lifting this particular purse. “It’s empty. Tell me, did you know a Dwarf was recently poisoned right in the Prancing Pony? They have no idea who did it. The Watch is just puzzled about the whole thing. And here you are. With an empty vial of poison. That is such a coincidence. Isn’t that right?” Another man emerged from the shadows behind him. He grinned with a nod. I found the site on the Free Folk forum and spent a…long time playing with it! Click on the image to doll yourself up!